Sometimes, I have a hard time reviewing certain kinds of games. Maybe it’s because I am not too experienced in that said genre, but one type of game I usually have a hard time reviewing are low budget title games. Those games you know didn’t have a whole lot of money thrown into them, but we still buy, and for some of us, review. I normally want to be fair to any game I review, but I can never find a balance when reviewing budget titles. I know they are not the big budgeted titles, and I should give them some leeway when going into them, but it is still a video game you spent money on. Even if it does have limitations of budget, it doesn’t mean it should be a soulless shovelware title. 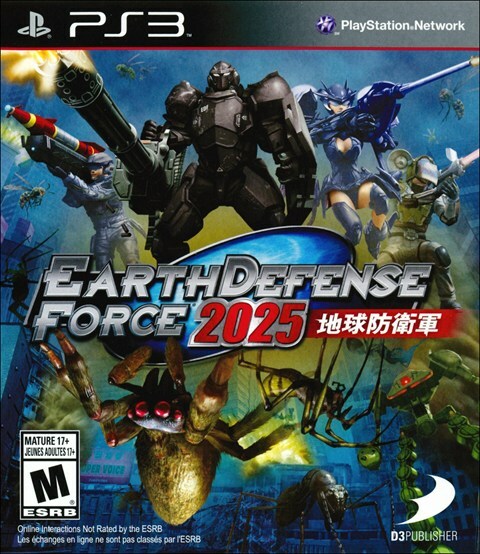 Out of any budget title series to hit consoles, Earth Defense Force is probably one of the most well known budget title franchises. There are six games in the franchise including spin-offs. The US has only gotten three of the games in the series that were made in Japan. I only played the second game that came over here in the states and I just thought it was a boring mess. I didn’t get time to review it, but I would have given it a low score. 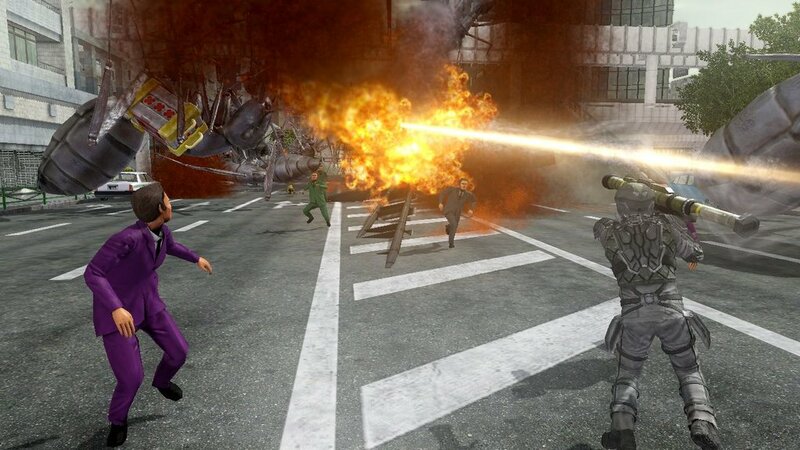 So, why am I reviewing Earth Defense Force 2025 for the PlayStation 3 and Xbox 360? Because I actually heard some good things about it, and I decided I should get into more budget title experiences. Who knows, maybe I will find this budget title awesome. Let us start with the story. Basically, aliens, giant bugs, and whatever else the developer decided to throw in, are invading the earth and want to wipe out the human race. 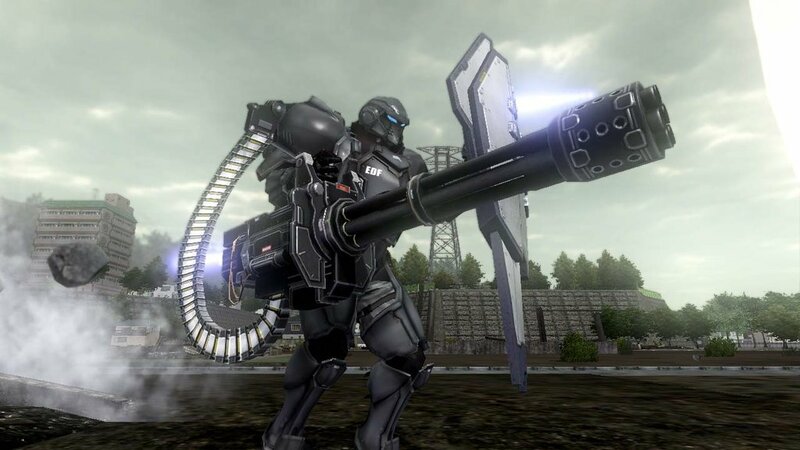 It is up to the Earth Defense Force aka EDF to take care of the threats and save the world! The story really doesn’t matter here, but are you surprised? Do we need a reason why aliens and ants are attacking Earth? Anyway, let us move onto the gameplay. 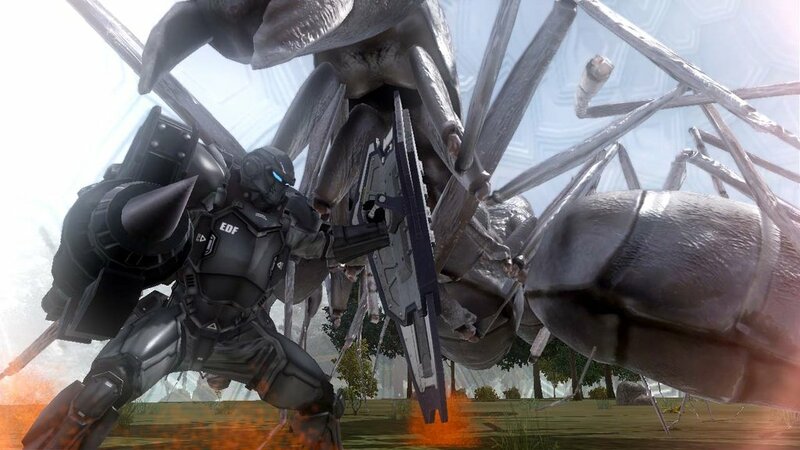 The Earth Defense Force franchise is all about running around and blowing up giant bugs, dragons, and aliens. You have four different classes to choose from and they range in strengths, weaknesses, and weapon variety. The first class you have is the Ranger. These are your all-around soldiers who also have the most versatile weapons out of any of the classes. The Wingdiver are female soldiers who specialize in flying around, and are the fastest soldiers to use. They are also the weakest, so make sure they don’t get hurt too badly. This next class is one I could never get used to using. The Air Raider class uses bombs and grenade launchers, but their special ability comes in the form of summoning vehicles. They aren’t the most versatile soldier class, but they have their purpose. The final soldier class, which is my favorite, is the Fencer. Fencers are the slowest soldiers, but can wield four different weapons. They might be slow, but to be able to have four different weapons to tackle the situation is pretty handy. The missions are nothing all that special. All you do is blow up giant bugs and aliens. The game will introduce new enemies as the missions pile up, but the main objective doesn’t change. The variety of the gameplay may be lacking in a sense, but you do have four classes, a multitude of weapons, multiple difficulty levels, and offline and online co-op to keep the replay value up. Does that save the game from getting too repetitive, though? Well, you are going to have to read more to find out. Graphically, the game looks okay. The visuals are obviously dated and look more like they were from 2006 than 2014, but it’s a budget title, I knew going in that it wouldn’t look like The Last of Us. Though some little touches added here and there, like how the buildings crumble a little more realistically, are nice. The game also feels really good to play. 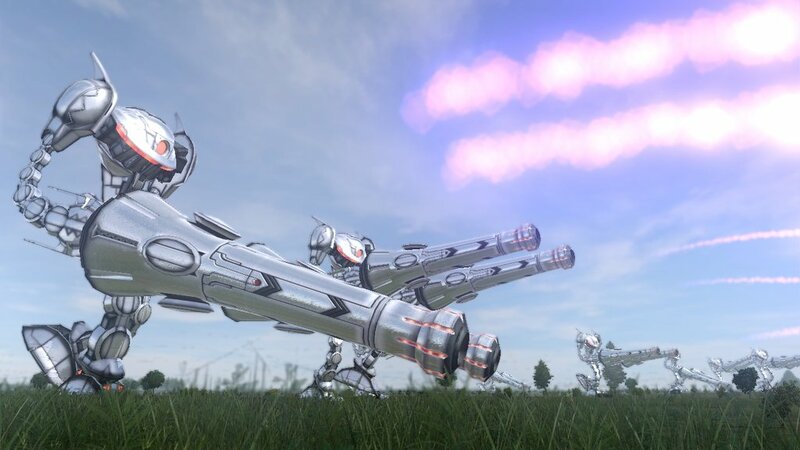 For example, when I was the Fencer, I had two Gatling guns, and using them on a horde of giant ants and other kind of bugs, is extremely satisfying. 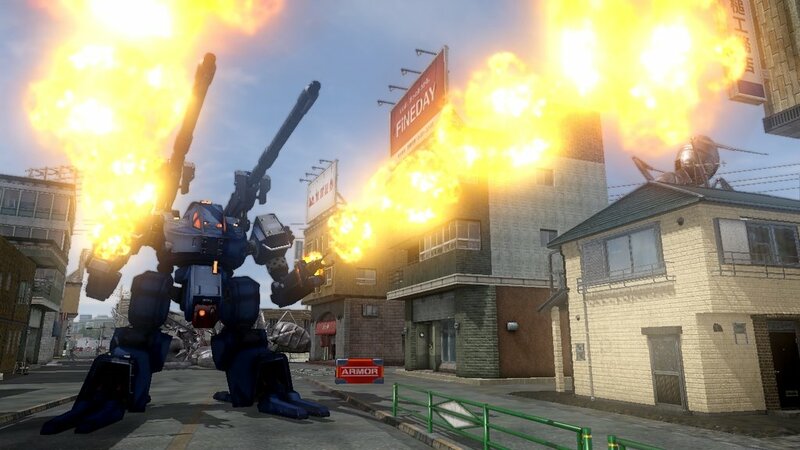 You also get a real feeling of force when you use a large gun to take out a giant robot, and feel that recoil from the force of the gun being shot. Music-wise, it’s rather forgettable. It’s generic-sounding music that comes off as epic, but it isn’t supposed to be memorable. So, what is wrong with this game? While I enjoyed the feel of the game, I got tired of the overall experience rather quickly. Sure, you have a couple of characters to choose from, multiple guns for multiple situations, and co-op play for offline and online, but the overall game can have a really short lifespan, depending on who you talk to about this series. It definitely increases its playability when playing with a couple of friends and blowing up some bugs and aliens, but I honestly couldn’t fully get myself to keep being invested in this kind of game. Maybe it’s because this game has about 85 or so levels in it. You can throw as many kinds of bugs and mix them with some giant robots, but 85 levels? Isn’t that a bit much? I also don’t care for the design choice of “you get better weapons if you play on the harder difficulties.” What if I just want to have fun? I hate it when games intentionally lock out parts of the game just because you are on an easier difficulty. It’s like a paywall, except without the money spending. For the most recent game in this franchise, you would think this series would learn how to not have slowdown after this many games, but oh well. Maybe they can fix it in a patch. This isn’t a terrible game. It has its charm and can be fun, but unless I was personally playing this game with a couple of friends, I wouldn’t really come back to this game at all. Sure, it might be fun for a couple of missions. There are multiple satisfying weapons to blow stuff up with, but for the price tag that it has right now at $50, it is a bit much. I would only recommend picking it up once the price lowers to about $30 or so, and pick it up at $20 or less. I know this series has a lot of fans, but only check it out if you haven’t played the two other games from the series that we got here in the U.S. Otherwise, you can skip it, or wait for the price to lower.